Whether your passion is modern dance or ballet, majoring in dance and choreography requires talent, discipline and hard work. Whether your ultimate goal is performance or education, studying dance at the college level takes time, serious dedication, and of course – money. Like all students pursuing an art major, dancers may find the rising costs of tuition at both four year colleges and performing arts schools to be prohibitive. Fortunately, there are a number of scholarship opportunities specifically designed to support students studying dance in all of its myriad forms. These scholarships are highly competitive, and dance students will need to work hard if they are to win the awards they need to supplement their education fund. The majority of dance scholarships are strictly merit-based. While some do take financial need into consideration, final awards are almost always determined on the basis of academic achievement and dancing ability. When applying for any dance scholarship, students should be prepared to provide their school transcripts, letters of recommendation, and an audition video/DVD that shows off their dancing skills. As with all art scholarships, talent and passion will be the deciding factors. Dance scholarships are sponsored by a number of different sources, including businesses and corporations, art foundations, performing arts schools and universities. Students interested in pursuing dance at the college level should speak with their dance instructors for information on national and regional scholarships for which they may be eligible. Students looking for financial assistance to help them pursue their studies in dance and choreography will find that a large number of scholarships are available from performing arts foundations, as well as businesses and corporations with close ties to the dance industry. Eligibility requirements for these scholarships will vary greatly, depending on the sponsor. Some may be open to students from all parts of the country, while others may target students from specific regions. The following are examples of dance scholarships supported by businesses and foundations around the country. The Harlequin Floors Scholarship – The American Harlequin Corporation is a leading manufacturer of dance flooring, and since 1999 has offered dance scholarships for students between the ages of fifteen and twenty-one. In partnership with The World Dances, Harlequin sponsors a monthly scholarship competition for talented dance students. Applicants must submit a video/DVD of their performance, which will be considered by a panel of judges. Four $250 scholarships are awarded every month, and students may apply as often as they like. The National Young Arts Foundation – The NYAF is dedicated to supporting the arts in America, and in helping young people pursue their artistic ambitions. Every year the foundation awards up to 150 scholarships for dance students at all levels of their educational training. Award amounts range from $250 to $10,000. Students must submit a video/DVD highlighting a variety of performance techniques. There is also a $35 registration fee, in exchange for which the student’s name will be included on a database that is made available to schools and universities who are looking for talented dancers to invite to their campuses. The Princess Grace Foundation – The Princess Grace Foundation offers scholarships and grants to dance students who are in their second year of studies at a non-profit school. Award amounts range from $5,000 to $25,000, with funds being paid directly to the school to cover tuition costs and associated fees. Final award amounts are determined by total cost of tuition, and the applicants financial need. The Jessica Karrat Dance Scholarship Fund – Named in honor of Jessica Karrat, a young dancer who was tragically killed in an automobile accident, the fund provides an annual $500 scholarship to dance students enrolled at an accredited two-year or four-year college, or at a not-for-profit performing arts school. Many young dancers may find that there are scholarship opportunities available through their college or performing arts school. These programs are designed to attract the most talented students to the school’s campus. Interested students should speak with their department heads, and their financial aid adviser, for information on possible dance scholarships for which they may be eligible. The following dance scholarships are typical of the programs administered by colleges and schools around the country. The George Mason School of Dance supports its students with three different scholarship programs. The Dance Talent Scholarship provides $3000 to $5000 per year to incoming freshman students with outstanding talent in all fields of dance. The scholarship is renewable for up to four years. The Harriet Mattusch Special Recognition Award is a one time award of $2500 offered to an exceptional undergraduate who demonstrates consistent hard work and dedication to dance. The Kevin Campbell Summer Scholarship is available to all dance students to help them defray the costs of attending dance festivals and workshops during their summer break. Alma College, in Michigan, offers a number of annual dance performance scholarships ranging from $1000 to full tuition awards. To be considered for an award, students must apply to the college and must audition for the Theater and Dance Department. Students must be accepted to the college before they can apply for any scholarship awards. Hofstra University, in New York, offers a limited number of grants and scholarships for students enrolled in the Drama and Dance Department. Awards range from $500 to $5000, and are renewable. Applicants must audition to be considered for any award. St. Olaf College, in Minnesota, offers a number of annual dance scholarship for its attending students. Awards range from $4000 to $8000, and are renewable for up to four years. Awards are determined strictly on the basis of merit, and students must submit an audition video/DVD with their application forms. 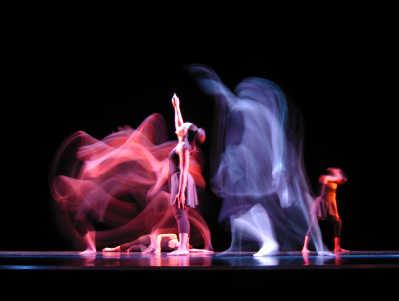 Dance scholarships are highly competitive, and students are often required to participate in a number of auditions before final awards are given. Students majoring in dance and choreography have chosen a challenging path, but with talent, dedication and hard work they can find the scholarships they need to make their dancing dreams a reality.